A cheerful, funky little bar and grill, with a small but nice craft brew list, some wine, plus burgers and other casual food. They are owned by the owners of Cato’s, but when we first listed them, they proudly had no website. Their pleasant bartender told us, “I don’t think we do. If you don’t find one, then we don’t.” Now they have put up a site with upcoming events and details, but the place still feels like a hidden neighborhood find. Extras: Ben and Nick’s is within one measly block from the station! Only Jupiter (in Berkeley) and Rosamunde (at 24th in SF) are closer to a BART exit. Walking from BART: Go south (very slightly downhill) on College Avenue past Keith Avenue. Ben and Nick’s is within the first block, on your left. Is this where we were last night? Indeed it is. Nice little Pliny the Elder dessert, eh? Anything like it in Las Cruces? If so, we may visit sooner rather than later. 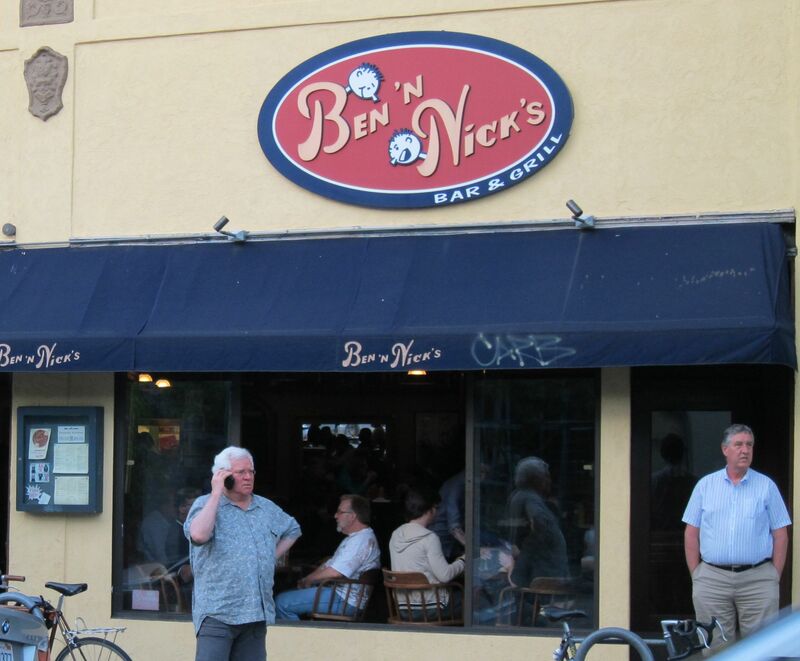 I miss Ben & Nick’s !!!!!! The best place in Rockridge. Ben and Nick’s is very convenient Great beers on tap and Good food, but the servers not the bartenders have attatude. But that doesn’t stop us from going, we enjoy the challange. They have a full bar, not soju. They may serve soju, but they have a full bar. The nachos are great.